Meanwhile, fry the onion in the olive oil on medium until golden and completely soft. Add the salt and cumin and mix well. Leave to cool slightly. To make the herb paste, place all the ingredients in a food processor and blitz until smooth. Add the herb paste to the couscous and mix everything together well with a fork to fluff it up. Now add the cooked onion, the pistachios, green onions, and green chile and gently mix. 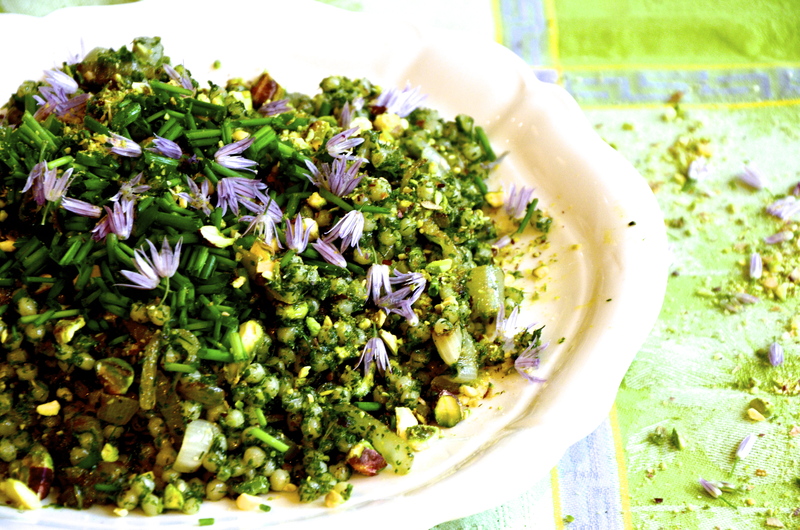 Garnish with chives and chive flowers. Serve at room temperature.